Amazon is now offering three new color options of its Amazon Kindle Fire tablet, the device is now available in blue, magenta and tangerine. The tablet was previously available with 8GB of built in storage for $50 and now Amazon has launched a 16GB model which is now available for $69.99. The specifications in the tablet remain the same and include a 7 inch display with a 1024 x 600 pixel resolution. The Amazon Kindle Fire is powered by a quad core 1.3GHz MediaTek processor and it lo comes with 1GB of RAM and a microSD card slot. Other specifications on the tablet include a 2 megapixel rear camera and the device comes with Amazon’s Fire OS which is based on Android. 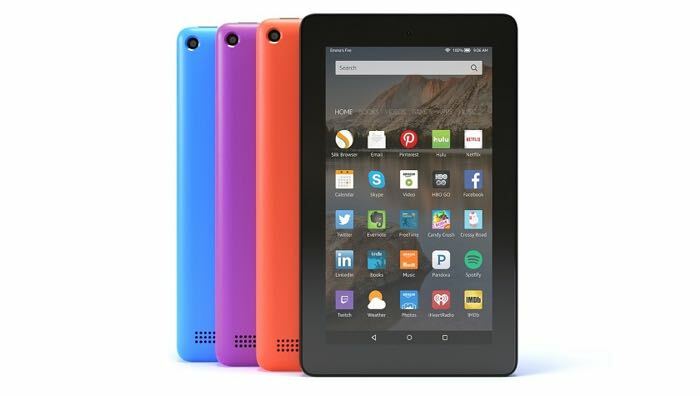 You can find out more details about the new 16GB Kindle Fire tablet and also the new color options over at Amazon at the link below.